We talked last week about how Capcom decided to severely punish rage quitters. The company did indeed keep to their word, although the solution they went for is still temporary and they risk punishing simply unfortunate people; or just ones with poor internet connections. Since the tournament is still underway and some are still taking advantage of the fact that they can quit before losing that they keep their high ranks, Capcom decided on temporary solution for Street Fighter V rage quitters. Sadly, it’s not what players of the game would like it to be. 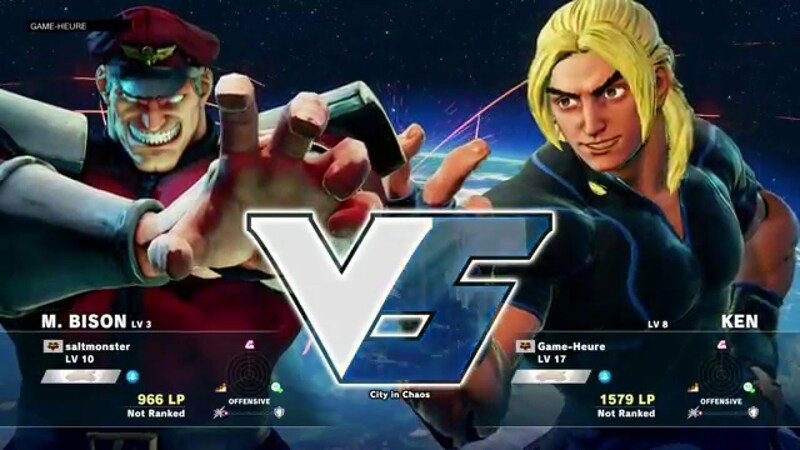 Ever since the game was launched, people have been taking advantage of the fact that Capcom made a huge mistake when designing the menu for Street Fighter V – they didn’t remove the option to quit the game when playing multiplayer. This was instant good news for munchkins and bad news for honest players. Instead of losing a fight, some players would just quit it when it became obvious that they’d lose, robbing their opponents of their well-deserved victory and remaining at the same rank. Because an increasingly large number of complaints started hitting Capcom as more and more players were taking advantage of this, the company decided to put its foot down and punish the sore losers. While last week the company said that they’d punish rage quitters severely, they still only managed to come up with a temporary solution. This is because simply removing the ‘quit match’ function in the online versus mode would require too many changes to the overall coding of the game. The temporary solution is a very simple one – offenders will lose League Points, the exact resource they cheated to avoid losing. While sounding good in theory, applying it is far more difficult than it seems. That is mostly because it’s hard to figure out which players actually cheated. Instead of going for a peer denouncement system, Capcom is punishing those players with the highest number of disconnected matches. This can fail in one of two ways, both punishing innocent players and doing nothing to very guilty parties. Since so far only 30 players had their points docked, it means that the technique is already failing. First of all, the company is only going for those players with a disconnect rate of over 90%, which the worst thing they could do. A disconnect rate of over 90% would mean that either the player has very poor internet (we can’t all live in Bucharest, Romania, right Bernie? ), or that the player just didn’t care enough to try to make his cheating subtle. The players that would most take advantage of the system are the ones at a 30% to 60% disconnection rate, as they’d know how to balance cheating and actually winning.